Science fiction has long been a space where ideas can be explored, universes created and norms challenged. 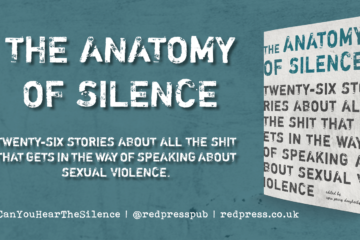 As the genre has expanded, so too have the wealth of issues that can be discussed. Released in 2014, Becky Chambers’ A Long Way to a Small Angry Planet, a space adventure infused with an underlying political commentary, was an excellent addition to the science fiction world. 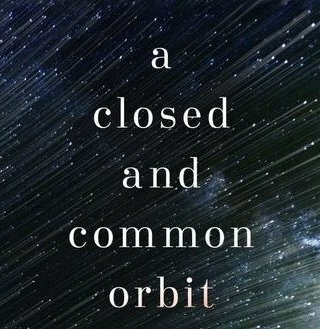 Its standalone sequel, A Closed and Common Orbit, continues in this vein, exploring some big ideas about identity whilst also offering the reader an engaging tale of female friendship. A Closed and Common Orbit picks up just before the end of A Long Way to a Small Angry Planet after the newly ‘born’ Lovelace, previously a ship’s Artificial Intelligence (“AI”), has been transferred into her synthetic body by tech whiz, Pepper. Because AIs housed in bodies are illegal, Lovelace is forced to keep her identity a secret, taking on a new name, Sindra, and blending in as a human. Running parallel to this is a past narrative following Pepper’s childhood in her previous identity as Jane 23, a genetically engineered human designed to work in dangerous factory jobs so others don’t have to. Chambers presents a universe in a near-utopian state of inclusivity – one which feels so far removed from current issues around discrimination and exclusion. Prejudice still exists for AIs and, in older species, rivalries, but the predominant climate is progressive and acceptance feels like an achievable goal rather than a distant bright spot on the horizon. Species live alongside each other peacefully, observant and respectful of each other’s rituals, attitudes, traditions and relationships. When awkward situations occur, such as Sindra’s true identity being discovered by a friend, the conversation is all about how best to respectfully ask questions, rather than firing out potentially offensive comments. Sexuality is whatever the individual wants it to be; bodily autonomy is a given and physical interaction is respectful of the various species’ preferences. In this universe, gender can be fluid, fixed or non-existent. Pronouns have been adapted accordingly so that each individual can be referred to as they prefer, rather than within the confines of restrictive terminology. 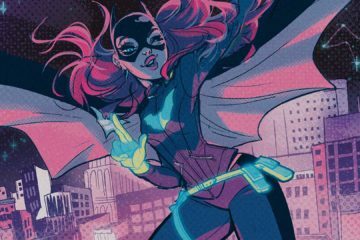 This diversity provides a strong backdrop for the two main characters’ experiences, presenting a world in which they are, for the most part, allowed to be who they want, in a culture which encourages acceptance rather than alienation. As recent political events have demonstrated, women’s right to choose what to do with their own bodies and their right not to be ‘grabbed’ without their permission is currently a major issue. The media has an opinion on just about every female body it comes across and dictates how it should look, what it should wear, what we should do with it… The list goes on. Chambers weaves all of these experiences into the respective stories of Pepper/Jane and Sindra as the novel moves through their narratives. Their bodies are their way of seizing control of their situations, because both Pepper/Jane and Sindra were created for another’s purpose – and are on a journey to find their own. Jane is created to fulfil a specific role within a factory and is the 23rd in a generation of girls bred in the same manner. Their bodies are expendable, but engineered to fit their purpose; they don’t have hair, their bodies can survive on the most basic of foods and they are incapable of having children. There’s simply no need when you can genetically engineer the next “batch.” Jane learns of her creation from Owl, coming to the conclusion that the “Enhanced”, those responsible for engineering her, “probably cooked her up out of some grab-bag gene junk and pulled her out of a gooey vat, along with the other disposable girls.” Jane’s body, until her escape, is not her own, but someone else’s tool for labour. When Jane grows up, her body becomes something that she has to protect, a difficult thing to do whilst living in a derelict ship on a scrapheap. But her relationship with her body grows from a renewed sense of purpose. Together with Owl, the AI in the ship who takes care of her, she develops her own freedom, which enables her to learn how to take care of herself, finally released from the restrictions of the factory. She is even able to finally choose her own name and become Pepper, now entirely separate from the factory production line. Though their friendship is a result of their circumstances and not an organic development, it becomes the foundation of Sindra’s narrative as she learns to fit in. Female friendship is still not particularly common in mainstream science fiction, so it is refreshing to see such a convincing one between an AI and a human. There are moments of anxiety, as Sindra feels the weight of her debt to her friend as well as wanting to be able to make her own decisions, private jokes, moments of joy and celebration and sacrifices made for each other. The climax of the novel combines all of these things, almost as a test to see if both Sindra and Pepper’s friendship can survive the potential turmoil. In Pepper/Jane’s story, there is also a maternal relationship explored, albeit an unconventional one, as Owl takes over looking after Jane as she grows up. It is contrasted sharply with the draconian “Mothers”, robotic entities whose role it is to keep the factory girls in line: “[T]hey didn’t have faces… Just a dull silver round thing, polished real smooth.” The Mothers are violent and physically intimidating. As a ship’s AI, Owl does not have a physical presence, but instead relies on her ability to talk to Jane through a video screen to create a relationship between them based on communication. Family units in Chambers’ universe vary from species to species, but the predominant feeling in most of them is love, coupled with wanting what is best for the child. It means that family is not a fixed idea, but can instead be welded together like one of Pepper’s projects. The closed and common orbit of the title is a touching metaphor for everything that Chambers is exploring here; everyone is largely free to forge their own path, whilst also being part of a larger, supportive community. The overriding theme across all of these experiences is that of choice, a common theme of the genre, but here given a personal spin. There are no big world-saving moments or villains to defeat. This novel is much more about the journey of the individual finding a way to to live their life in a way that best suits them. That recognition is what unites the inclusive society and is also the realisation that both Pepper and Sindra come to over the course of their respective experiences, whether it is finding their version of family, what tattoos to have or how to live their life. Chambers’ skill is to combine all of these ideas into a compelling narrative with truly engaging characters. That is why A Closed and Common Orbit is the kind of science fiction we so desperately need right now, one that is built of hope, wonder and tolerance. Most of all, it is about the joy of being alive, of being comfortable within your own skin (be it synthetic, human, scaled, furry), of the heady, mind-bending experiences that come with simply existing on a day-to-day basis and the importance of having people who love you on that journey. A Closed and Common Orbit is published by Hodderscape and is available to be purchased here. 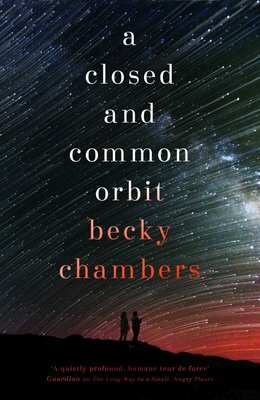 The image is the book cover, which has the background of a night’s sky full of shooting stars with the title of the book (A Closed and Common Orbit) and the author’s name (Becky Chambers) in lower case font over the top of it with one word on each line. At the bottom of the cover are two people in silhouette on what looks likes a rocky mountainside, looking up at the sky above them.